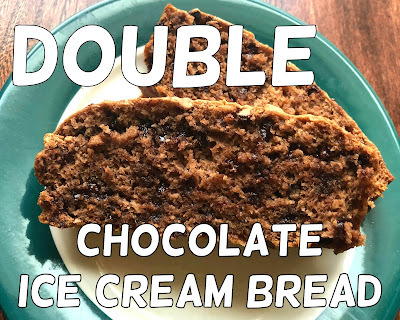 If you love chocolate, then you are going to love double chocolate ice cream bread. 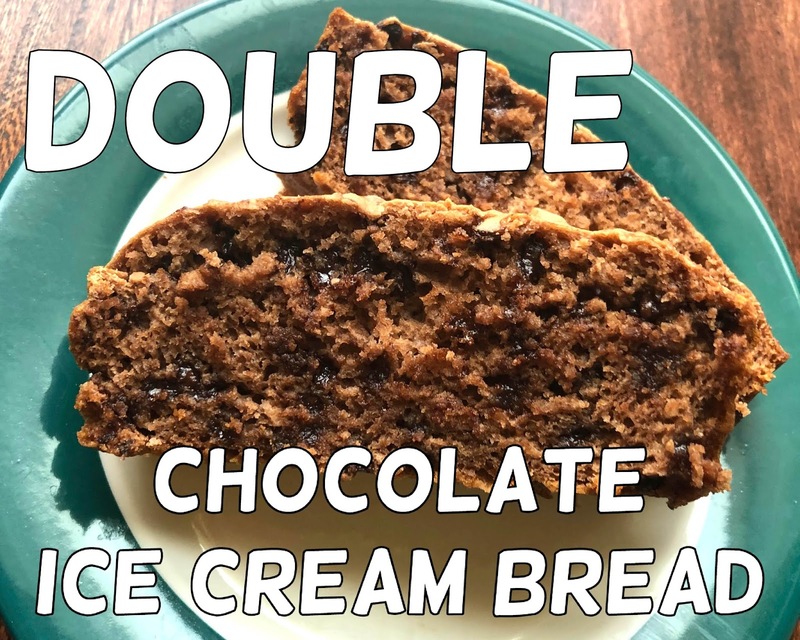 Double chocolate ice cream bread only requires three ingredients to make and is an easy treat to bake. All you need is chocolate ice cream, self-rising flour, and chocolate chips (we used mini chocolate chips). You'll need to grease a bread pan and preheat your over to 350 degrees. Next, you will want to put 1 1/4 cups of self-rising flour and 1/2 cups of chocolate chips into a mixing bowl. In a separate bowl, place two cups of chocolate ice cream and let soften. Once your bread pan has been greased, add your bread batter to your pan. Bake at 350 degrees for about 30 to 40 minutes. You can use a toothpick to make sure they are done (to test, use a toothpick by poking one in the center of the bread and if the toothpick comes out clean, the bread is done baking). Wait for the bread to cool, then cut and serve. So Easy! So Good! Enjoy!